WATCH: Iron Fist Trailer Revealed by Netflix | Nerd Much? The official Iron Fist trailer has finally landed just over a month before the show’s release. 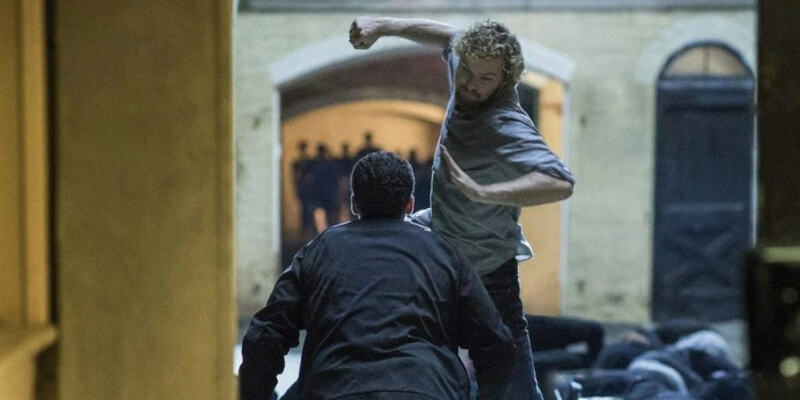 We get a good look at what’s going down with Danny Rand back in town. The Iron Fist trailer shows plenty of our titular hero in action played by Finn Jones. We also get a good look at Colleen Wing (Jessica Henwick), Claire Temple (Rosario Dawson), and more. We even get a good look at who the big baddy might be this time around. As the story goes, Danny Rand has returned after being presumed dead for fifteen years. With his mysterious return to New York City, Rand is determined to reclaim his family’s company and his birthright. Someone long-destined gets in his way and he is forced to choose between his family’s legacy and his duties as Iron Fist. This marks the fourth and final member of The Defenders to make their presence on Netflix. After Iron Fist debuts March 17, The Defenders will release later this summer. Finally, Iron Fist, Daredevil, Jessica Jones, and Luke Cage will for the team that has been years in the making. With the track record Netflix has had with the Marvel shows, you can pretty much guarantee that this will be another hit with critics and fans alike. We can hardly wait.